Getting a Mālama Loan will be quicker and easier for those who qualify. Those who want to apply for a loan can do it from the comfort of their own home rather than going to a bank. 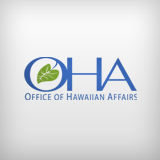 The Office of Hawaiian Affairs has an online application process for its flagship loan program. The Mālama Loan can be used to start or expand a business, make improvements to a person’s home, consolidate debt or fund continuing education. For example, Business loans have allowed Hawaiian-owned companies to make strategic investments in their businesses, resulting in an average revenue increase of 34 percent, according to an OHA study. Some recipients have used their loans to make their homes more energy efficient and put money back into their pockets. Online loan applications are available any time of the day or night, and once an application is received it will usually be processed the same day. If the loan is approved, funds can be given out in five to eight business days. In addition to applying over the Internet, applicants can apply by mail or by visiting any of OHA’s offices on O‘ahu and on the neighbor islands. Applications will no longer be available at First Hawaiian Bank after Aug. 31. Debt Consolidation loans are unavailable until further notice. Please visit the Mālama Loan webpage for periodic updates.